A registered patent attorney at Setter Roche LLP, Tom Sylke is also general counsel to and a co-owner of Bright Acceleration Technologies LLC, a technology start-up in the field of engine power generation. He also served as one of eight private sector appointees on the 12-member WEDC board of directors from 2011-2018. Prior to this, Sylke was the principal at Sylke Law Offices, LLC, an intellectual property law firm that worked with parties in Silicon Valley, the Midwest and Europe in patent procurement, licensing, clearances, and enforcement, as well as other intellectual property fields, mainly involving technologies related to applied mathematics, electrical engineering and physics. Sylke holds bachelor of science and law degrees from the University of Wisconsin–Madison, and served as a public member of the Wisconsin Joint Legislative Council Special Committee on the University of Wisconsin and State Economic Development, investigating the role of the University of Wisconsin System in state economic development. Rahul Alreja is the Director of Global Sales & Marketing for VJ Technologies, a leading global provider of x-ray inspection solutions for quality control in a wide range of industries throughout the world. Rahul and his team at VJT are involved with bringing advanced technology, robotics, automation, and computer/machine learning to a variety of industries, specifically targeting quality control and product flow. Authoring several technical papers, Rahul has been invited around the world to speak on next-generation advances in the field of non-destructive testing as VJT is constantly pushing the boundaries of what exists. In addition to VJT, Rahul is a co-founder and Chief Strategy Officer for Psocratic, a corporate wellness platform targeting employee engagement and retention using Big Data and AI. Rahul also co-founded and is the CEO of AHZ Capital, an early-stage investment fund primarily investing in healthcare and biomedical device startups, with over 8MM raised and invested. Rahul holds MBAs from Columbia University and London Business School, and is a member of Young Presidents’ Organization (YPO), and was most recently named to Stony Brook University’s Forty Under 40. Widely recognized for his innovative work and leadership, Professor Diran Apelian’s research has helped establish mechanisms and fundamentals in metal processing. His pioneering work in molten metal processing, plasma processing, spray casting, and shape casting of aluminum alloys has helped lay the foundations for significant industrial developments. His recent work developing technologies that recover and recycle materials will help create a more sustainable future. Apelian has a unique talent for building bridges between the industrial and academic communities, and for identifying fundamental scientific issues that hold back technology development. Mr. Apfelbach is the CEO of PEGEX, a fast-growth software and services company operating in the $26 B hazardous waste market. Before that, Eric was CEO of EnSync Energy (NYSE ESNC), a leading developer of distributed energy systems for the utility and building markets. Mr. Apfelbach has led the start-up of multiple technology companies in Wisconsin. He was founding CEO of Virent, a top advanced biofuels/biopolymers company. He also co-founded Alfalight, a high power laser company and was involved in the start-up of StudyBlue and Xolve. He has also held senior management positions at Planar Systems and Applied Materials in the global flat panel display and semiconductor industries. Jeffrey L. Binder is the former Associate Laboratory Director of Argonne National Laboratory’s Energy and Global Security (EGS) Directorate, a team that applies unique expertise in science, engineering and information systems to deliver environmentally sound solutions to challenges in energy access and global security. Dr. Binder joined Argonne from the University of Illinois at Urbana-Champaign, where he was founding director of the Illinois Applied Research Institute (ARI), an organization focused on building collaborations between academia, the federal research complex and the private sector in data science applications in medicine, accelerated materials development, advanced manufacturing and homeland security technology development. He began his professional research career at Argonne in 1990, where he served as principal investigator before promotion to group leader, then manager of the Reactor Engineering Division. Dr. Binder joined Oak Ridge National Laboratory (ORNL) in 2003, working his way up to Associate Laboratory Director for Nuclear Science and Engineering in 2011. Dr. Binder’s awards include ORNL R&D Director of the Year (2011), the Secretary of Energy’s Significant Achievement Award (2011) and the University of Illinois’ Distinguished Alumnus (2013). Dr. Binder holds Ph.D., M.S. and B.S. degrees in Nuclear Engineering from the University of Illinois, as well as an MBA from the University of Chicago. In 2015, the Brunswick Board of Directors elected David an officer of the company and named him the Vice President & Chief Technology Officer. He also serves as Vice President of Product Development, Engineering and Racing for the Mercury Marine division. David joined Mercury Marine in 2007 and has been responsible for the delivery of a succession of successful new products, including innovative new outboard and sterndrive engine platforms, an expanded portfolio of high-speed diesel engines and an industry-leading suite of advanced controls systems and connected products. David has also led a major expansion of Mercury’s engineering activity, recruiting a large number of engineers and significantly enhancing Mercury’s test and development facilities. In his role as CTO, David has implemented a new corporate innovation strategy that includes increased cultivation of internal innovation and high levels of engagement with academia and the startup community. Previously, David spent 18 years with Ford Motor Company in a series of assignments of progressing responsibilities, and has also worked with Shell Exploration and the Ministry of Defense, both in the United Kingdom. He has a bachelor’s degree in aeronautics and a master’s degree in structural and fluid mechanics from Imperial College in London. Justin Furnace has a background in commercial oil and gas law, as well as extensive regulatory experience. Before Hilcorp, he was the President of the Texas Independent Producers & Royalty Owners Association (TIPRO), a trade association representing the interests of more than 2,300 independent oil and natural gas producers and royalty owners throughout Texas. As TIPRO President, Furnace oversaw the association’s governmental affairs in Texas and Washington, DC, and represented the interests of the association membership before various regulatory bodies. From June 2007 to May 2010, Furnace served as chief of staff and legal counsel to then Chairman Victor Carrillo of the Texas Railroad Commission. A graduate of Hardin-Simmons University in 2001, he currently serves on its Board of Development. He received his Doctorate of Jurisprudence from Texas Tech University School of Law in 2004. Steve was introduced to a new technology known as stereolithography in the early 90’s while a student at the Milwaukee School of Engineering. In 2001 he purchased a similar machine to launch Midwest Prototyping in Blue Mounds. Seventeen years later, stereolithography is just one of several technologies more widely referred to as 3D Printing. Today Midwest Prototyping is one of the largest privately held providers of additive manufacturing (3D Printing) services in the US with locations in Wisconsin and Colorado. The ISO certified company produces both prototype and production components for companies around the globe utilizing a fleet of over 30 industrial printers spread across 7 different technologies. Steve sits on the boards of directors for the State Bank of Cross Plains, the Mt. Horeb Area Economic Development Corporation and serves on advisory boards at Madison College and Northeastern Wisconsin Technical College in Green Bay. He received a B.S. in Mechanical Engineering at the Milwaukee School of Engineering and his MBA from Edgewood College. David Guinther is an entrepreneur and senior executive, a turnaround specialist, a company founder and builder, a management consultant, a board member, and an executive coach. He is experienced in Angel, VC, and IPO funding rounds, in M&A, and in delivering returns to his investors. His industry experience is largely in technology, although his recent work includes medical and consumer products. Guinther is currently a General Partner at WISC Partners, a venture capital firm focused on investing in Wisconsin early stage companies. In addition, he is the Principal at Threadian, the CEO of XY Wellness, and Chairman of IWS Global. His previous work includes CEO of FastObjects, VP of Sales & Marketing of Poet Software, and Director of the Advanced Technology Group of Harris Corporation. He holds a Master of Science in Business and a Bachelor of Business Administration, both from the University of Wisconsin. David works and lives in Madison. Briggs & Stratton Corporation is the world’s largest producer of gasoline engines for outdoor power equipment. Its wholly owned subsidiaries include North America’s number one marketer of pressure washers, and it is a leading designer, manufacturer and marketer of power generation, lawn and garden, turf care and job site products through its Briggs & Stratton®, Simplicity®, Snapper®, Snapper Pro® Ferris®, PowerBoss®, Allmand™, Billy Goat®, Murray®, Branco® and Victa® brands. Briggs & Stratton products are designed, manufactured, marketed and serviced in over 100 countries on six continents. 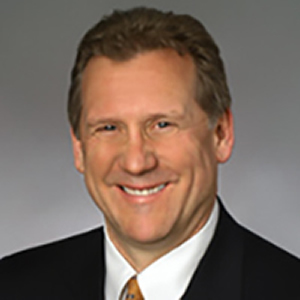 Marv Klowak has held a variety of positions at Briggs & Stratton, including Vice President of R&D and Quality, Product Engineering Manager, Program Manager and Project Engineer. In addition, he formed the company’s first sustainability team, led it for four years, and now serves in an advisory capacity. Prior to joining Briggs & Stratton, he held product engineering positions at Caterpillar Inc. and Sundstrand Aerospace Fluid Systems. He received his B.S. in Mechanical Engineering from the University of Wisconsin–Madison. A former sector development manager and regional account manager for the Wisconsin Economic Development Corporation (WEDC), Barb LaMue has 18 years of economic development experience in Wisconsin. Before joining WEDC in 2012, she was the executive director of Centergy Inc., a regional economic development organization serving five counties in central Wisconsin. At Kohler, Amy is responsible for company-wide supply chain and manufacturing centers of excellence. Included in the Kohler Operating System (KOS) are Safety, Quality, Supply Chain, Continuous Improvement, Maintenance Systems, and Sustainability. Amy is focused on Operational Excellence and through KOS, enables the creation and distribution of durable knowledge throughout all global operations. Amy also leads three service based, global organizations for Kohler: The Chemical and Metallurgical Laboratory, the Machine Build and Process Automation Team, and the India Technical Center. Amy joined Kohler in February 2009 as Vice President of Engineering for Kohler Engines where for five years she was responsible for global engineering and execution of product innovation. Prior to 2009, Amy worked for 18 years in the automotive industry in Manufacturing Engineering, Quality, and Product Engineering where she acquired a passionate and disciplined approach to Continuous Improvement, Product and Process Engineering Development and Program Management. Amy holds a Bachelor of Science in Applied Mathematics from Michigan Technological University (1988). Additionally, she has completed a Master of Science in Computational Mathematics from Michigan State University (1990) and a Master of Science in Manufacturing Engineering from Case Western Reserve University (1996). Graduating from the University of Wisconsin–Madison with a Bachelor of Science in Mechanical Engineering in 1994, Tom started at Oshkosh Truck in 1995 as a design engineer. He held various job titles and responsibilities within the Oshkosh organization, and in 2003 became the Director of Engineering for concrete placement, snow removal and Aircraft Rescue Fire Fighting (ARFF) products. In 2005, Tom became Vice President of Engineering for the Oshkosh commercial segment, located in Dodge Center, MN. In 2007 he joined the Fire & Emergency Segment as Vice President of Engineering, responsible for the development of Pierce fire apparatus, Oshkosh ARFF and snow removal, Medtec ambulance, Frontline broadcast, and Oshkosh Specialty Vehicle mobile medical equipment. Jim Roberto spent 43 years at Oak Ridge National Laboratory, and most recently served as the Associate Laboratory Director for Science and Technology Partnerships where he was responsible for industrial and university partnerships, technology transfer, economic development, patents and licensing, and graduate education. Dave Teter leads the Materials Science and Technology (MST) Division at Los Alamos National Lab (LANL), which provides world-leading, innovative, and agile materials science and technology solutions for national security missions. MST supports the nuclear weapons, nuclear energy, basic science and global security missions with an annual budget of ~$80M and a workforce of ~200. Dave is also helping the National Nuclear Security Administration (NNSA) develop the Advanced Manufacturing Roadmap and 10-year plan for Additive Manufacturing to enable a more responsive and cost-effective manufacturing complex. This has led to a combined $10M additive manufacturing program at LANL. Most recently, he has been co-leading a multi-national Laboratory DOE Big Idea Initiative, Extreme Environment Materials (EEM), aimed at accelerating new materials to market for extreme environment applications.